One of the most satisfying feelings in the world is checking items off a to-do list. And this can be even more exciting when doing so is benefiting your home. The coming of spring brings the need for home maintenance to prepare for the warmer months and to assess your home for any winter damage. Winter can take a toll on your house in numerous ways. Spring is the best time to do repairs in order to keep those issues from worsening. You’ll want to protect your home from any storm damage brought on by a St. Louis spring as well as prepare it for the change to warmer weather. Follow our spring home maintenance checklist to keep your home in good shape from top to bottom. You can evaluate your roof from the ground or by carefully climbing onto its surface. When climbing onto your roof, take the proper precautions—utilize safety equipment and make sure it’s sunny and dry. Look for lifted, cracked, or dented shingles, and secure any loosened shingles. Clear your roof of all winter debris, leaves, twigs, or branches. A roof repair is one of the most important home repairs come spring. After inspecting your roof, it’s time to clear out your gutters. Remove all branches and leaves from within both the gutters and the downspouts. Then, inspect your gutters by running water from your hose through them. Check for any cracks or leaks where water may be coming through. Make sure water does not pool around downspouts but rather flows continuously. This indicates that your downspouts are not backlogged with gunk. Make sure your gutters are securely fastened to your roof and that no rust marks appear on your siding closest to the roofline. Without quality gutters, your home could end up needing a full roof replacement, replacement siding, or even foundation issues. So, keep your gutters in top shape. Walk your front porch and back deck, looking for loosened or lifted boards. Make sure all railings are securely fastened and that no steps wobble. Clear your deck or porch of all winter rubble, and then wash your deck with a deck cleaner. Your wood deck or porch should be resealed or painted every three to five years. However, if you notice chips in the paint or dulling in the seal, regardless of time, you should paint your deck. Walk the exterior of your home, checking for cracks or breaks in the siding. Have any noticeable damage looked at by a professional? 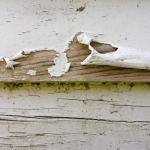 Caulk all joints or areas where nails sink into the siding to prevent water damage. Clean your siding annually. The cleaning method will depend on the type of siding material your home has, but never use abrasive materials on your siding. If your siding is in rough condition, you will want to have it replaced. Replacement siding adds value to your home and will ensure proper home protection for years. Test your sashes to make sure your windows move freely. Check the locking mechanisms to ensure your windows fasten securely. If everything is functioning properly, check the caulk around the frame and replace all cracked or peeling caulk. Then look at the frame and panes for breaks. Sand areas of the frame where the paint is peeling and repaint. If there is no noticeable peeling, paint your windows every three to five years. If your windows have excessive moisture in the frame, severe damage, or other signs of wear and tear, you may have a need for replacement windows. 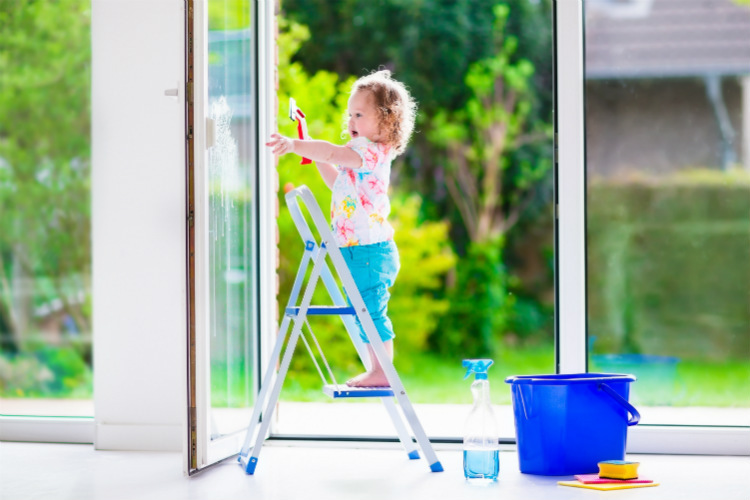 Then give your windows a thorough cleaning on the inside and outside with a nonabrasive cloth or sponge. Check the screens for holes or tears and have them replaced if needed. Check your driveway and foundation for signs of cracks and pooling water. Because concrete absorbs moisture, standing water near these structures can lead to structural damage. If you notice any damage or cracks, contact a professional. If your driveway is made of asphalt, have it sealed with an asphalt sealer to protect it from wear and tear. Clean your fence annually and stain it at least every one to two years. Make sure all posts are secure and that the fence is not leaning. Check that the boards are securely attached, and look for any wood rot or termite damage. Check that all gates open and close properly and securely fasten or lock. Prepare your yard for new growth by removing all debris that has built up over winter. Clean out flower and garden beds, getting rid of dead plants. Trim all remaining plants so they are at least a foot from your home’s siding. Then trim any branches overhanging your roof. Fertilize your lawn once the temperatures have reached the upper 50s, and tune up your mower so it is ready for the upcoming seasons. Test your sprinklers, making sure they spray properly and in the right direction. Before the weather heats up, have a professional check your A/C unit. If you are inspecting the unit yourself, check all hose connections for leaks and make sure all drain pans drain properly. Make sure no plant growth is overtaking your unit. It should be unobstructed to function properly. Change out the filter and clean the condensing coils of dirt, outdoor particles, and other debris. Your A/C is an important part of your home repairs, as a replacement A/C unit can cost thousands of dollars. Stay on top of its maintenance and repairs to help it last longer. No matter what exterior projects you need to check off your list this spring, whether they be replacement siding, replacement windows, a roof repair, a new deck, or concrete work, our Lakeside Exteriors team is ready to help. 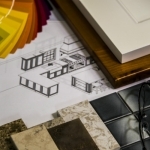 Our team is ready to answer your questions and give you a beautiful, low-maintenance exterior. Contact us to schedule a free consultation today.